This is a round Buick Authorized Service porcelain sign. This particular Buick Authorized Service sign features a red center with a blue border and white text. 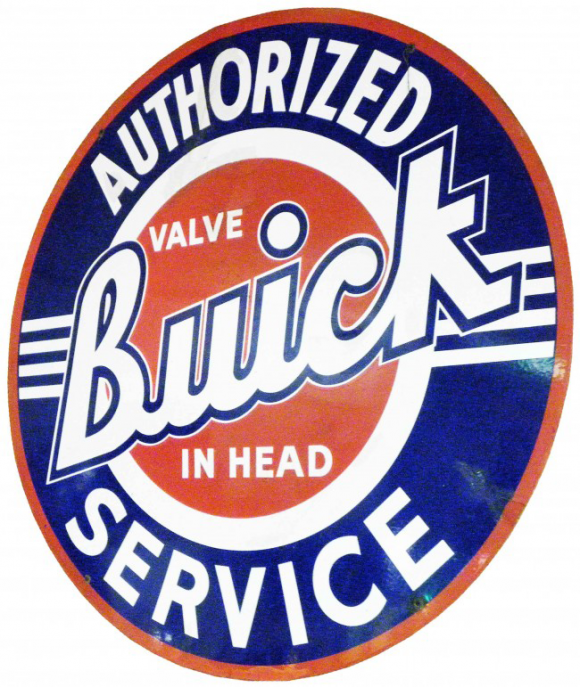 It reads, “Buick Authorized Service, Valve In Head”.